By hook or by crook, the Kiev regime has managed to get the long-awaited visa waiver from the EU. When in Feb-Mar 2017 Georgia was granted a visa-free regime, it became clear that a similar procedure for Ukraine was a matter of time rather than principle. 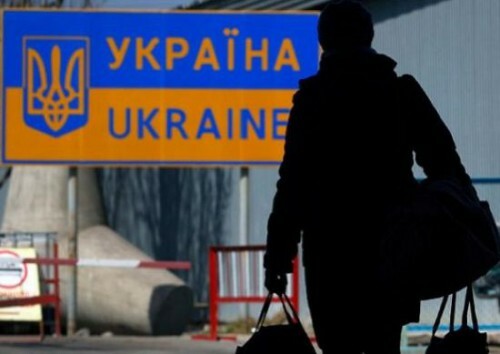 On May 11, the European Parliament approved it and now the Ukrainians will be able to stay in the Schengen Area for 90 days within 180 days. But there are lots of “buts” here. First of all, a Ukrainian wishing to visit the Schengen Area will have to have a biometric passport, an invitation letter, a booking confirmation, a return ticket and a document confirming that he or she has enough money for staying in the EU. In fact, the only document he or she will not have to submit are a certificate of employment and a document specifying the origin of the money spent on the application procedure. The key point is that visa waiver does not imply the right to work or study in the EU. For such purposes, the Ukrainians will have to get visas. Thus, the only purpose they can afford is tourism or visiting relatives. Besides, the EU has the right to suspend the visa-free regimes for Georgia and Ukraine in case of an abrupt growth in the number of visitors from those countries. For the EU, visa waiver is one more instrument for influencing the Kiev regime as it has been the latter’s only real achievement so far. This achievement may well improve Petro Poroshenko’s rating. The government officials in Kiev are happy even though they have no need for visa waiver as many of them have two or even three citizenships. So, logically, had it not been for the Euromaidan, Ukraine would have gotten visa waiver much earlier, for example, along with Moldova in 2014. One more problem is that today much fewer Ukrainians are able to comply with all visa waiver requirements. The key reason is the slump of UAH: today, it is 3.4 times lower against USD and 2.5 times lower against EUR than it was in 2014. A survey by the Razumkov Center has confirmed that 55% of the Ukrainians have never been abroad, 16.3% go there once in a decade, 11.6% once in five years, 8.6% once in two years, 8.7% once a year. The Kiev International Institute of Sociology says that as many as 77% of the Ukrainians have never been abroad. According to Ukraine’s State Statistics Service, just 2,000,000 Ukrainians or 5% of all Ukrainians travelled abroad in 2014-2016. Ukraine’s Infrastructure Minister Volodymyr Omelian says that exactly as many Ukrainians use planes. In 2012-2013, when Ukraine was well-off, the number of its tourists was almost the same. So, visa waiver has made no difference and the same small group of better-off Ukrainians continues travelling abroad. Simply, now those people will no longer pay 35 EUR as consulate fee and will no longer have to visit visa centers. For guest workers, visa waiver is a chance to go for a seasonal job but the problem is that visa waiver does not give them the right to work in Europe and they will have to work there illegally. But countries like Poland need cheap workers and close their eyes on such violations. Today, as many as 1,000,000 Ukrainians work illegally in Poland. This is why the Poles were among the most ardent advocates of visa waiver for Ukraine – for in order to be able to grow economically, they will need 5,000,000 more workers within the next 20 years. For those wishing to go to Poland or some other EU states and to work there illegally, visa regime has never been an obstacle. In Europe, you can see lots of Ukrainians who went there long before visa waiver. On the other hand, visa waiver is a good way for the Kiev regime to lessen social tensions by pumping out of the country as many people as possible. Here we cannot help remembering the theory of revolution: when living standard is low but the elite is able to canalize public displeasure outside, there will be no revolution as all those who are able to emigrate will do it sooner or later. Visa waiver is an additional source of foreign exchange for the Ukrainian elite. Money transfers from guest workers have long become one of the key sources of income for Ukraine. According to Ukraine’s Social Policy Ministry, as many as 5,000,000 Ukrainians are working abroad for the moment. Recently, the Russian authorities toughened their money transfer rules for Ukrainian guest workers. So, now the only window for them is the EU. A similar picture can be observed in the Baltics – a role model for “progressive” Ukrainians. Nevertheless, the Baltics have managed to join the EU, while the best Ukraine can hope for is visa waiver – a benefit that is not as beneficial for ordinary Ukrainians as it is for the Kiev regime, who needs to record at least one achievement.